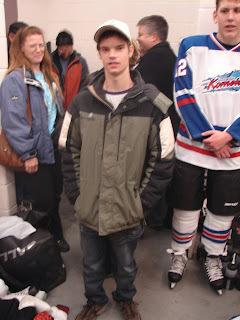 On Saturday our #1 goaltender, Travis Harren, dropped by the Evinrude Centre to pay his teammates a surprise visit. Travis has undergone several surgical procedures this fall that have prevented him from playing the game he loves. He is SO anxious to return to the Komets and we really want him back. Yesterday's visit was an emotional one for all involved, especially me, I think. I had to leave the dressing room briefly to regain my composure. Thanks for your visit, Travis! 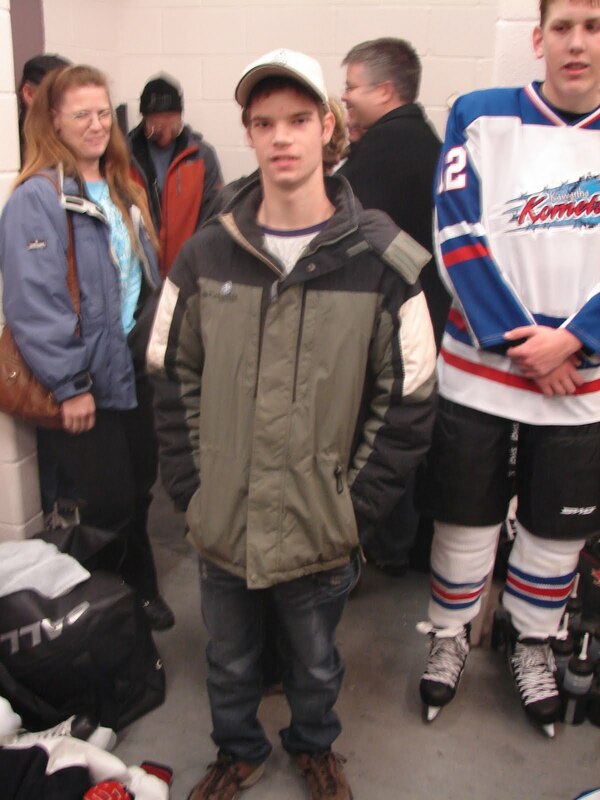 Thanks for bringing him to the rink, Cheryl! We can't wait until we can see you both every weekend.